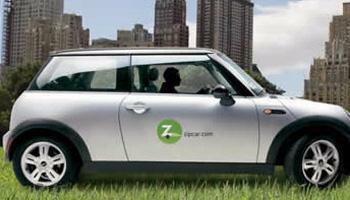 $25 off your first Zipcar. 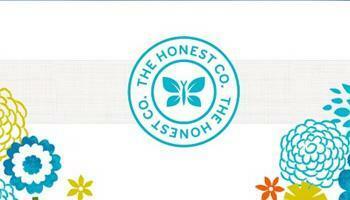 Click "Get Reward" on voucher to apply discount. First time customers only, may one be used once per new user. Baked and Wired is a family owned coffee shop and bakery next door to Definitions. The BEST cupcakes in Georgetown can be found here! 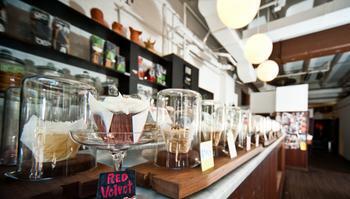 They also serve up coffee and a variety of baked goods. We highly recommend a post-MRT muffin or quiche. 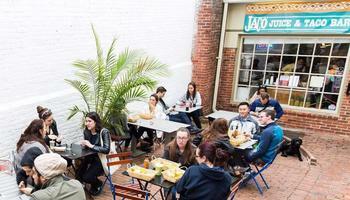 Jaco Juice and Taco Bar is a similar GeorgetownHiddenGem like Definitions. They serve Fresh Made-To-Order Juices, Smoothies, Tacos, Burritos, Acai Bowls and delicious Breakfast All-Day! Their incredibly wide variety of unique concoctions are certain leave you pleased. Premium heather grey, ultra lightweight tee shirt in a preshrunk cotton, polyester and rayon tri-blend material. Super soft luxurious fabric, satin neck label, stretchy rib-knit collar- it's the perfect gear for MRT Interval Classes. 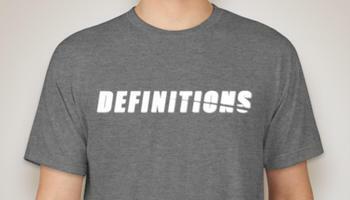 Definitions logo in white on front across the chest. Vintage black, ultra lightweight tank top in a preshrunk cotton, polyester and rayon tri-blend material. With exposed stitching, flowy fabric and an athletic fit- it's the perfect gear for MRT Interval Classes. 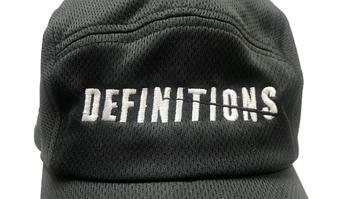 Definitions logo in white on front bottom right. 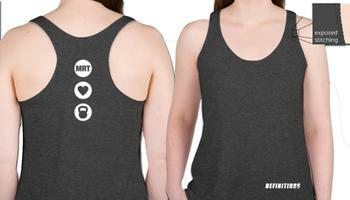 Three white circles in white on center back with MRT logo, a heart and our signature kettlebell. Double-wall, stainless steel construction, 16-oz. capacity. Keeps drinks cold up to 24 hours and hot up to 12 hours. Meets FDA requirements. Black, ultra lightweight (less than 2.0 oz) design, adjustable rear buckle, machine washable. Dries 3 to 4 times faster than cotton. HEADSWEATS is the most popular performance hat used by endurance athletes, triathletes, rowers, hikers, MRTers and more. 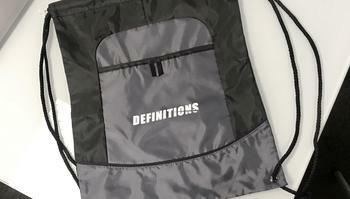 DEFINITIONS logo in white on front. Headsweats logo in white on right temple. Black and grey polyester drawstring bag. Small Definitions logo in white screen printed on the front. A lightweight and durable companion for holding workout gear (clean or dirty). 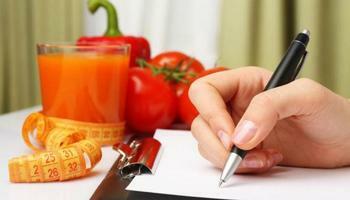 Redeem points for an hour long nutrition coaching and assessment session at Definitions. Upon redemption a member of the Definitions team will assist you in scheduling your appointment. 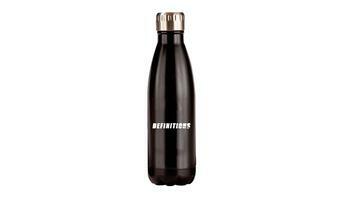 Redeem points for an hour long personal training and assessment session at Definitions. Upon redemption a member of the Definitions team will assist you in scheduling your appointment. Redeem points to experience a private MRT Class at Definitions. Upon redemption a member of the Definitions team will assist you in planning your class. 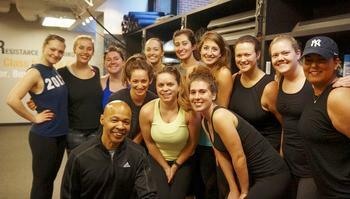 Party classes are typically scheduled for 12:30pm on Saturdays or 12pm on Sundays.